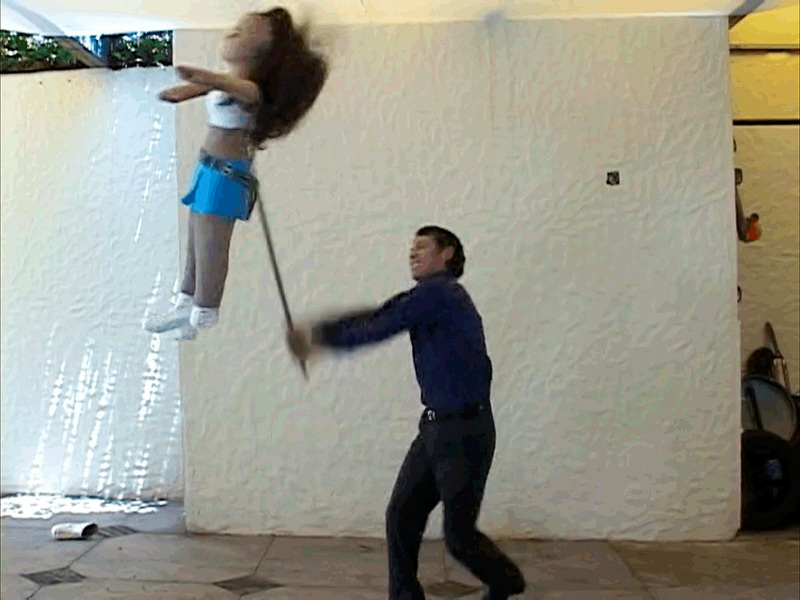 Using a common childhood game as a metaphor for the murders of young women in Juarez, Mexico, Serrano’s graphic, polemic video depicts a man brutally bashing a piñata shaped like a young woman. The male protagonist takes perverse pleasure as he calculatingly taunts his paper mâché prey. With only her head remaining, he plants a tender kiss on her face, before striking the final blows. However, it was the sound that haunted me for weeks—five long minutes of escalating grunts of exertion and heavy breathing mingled with the sound of the bat making contact, followed by silence.